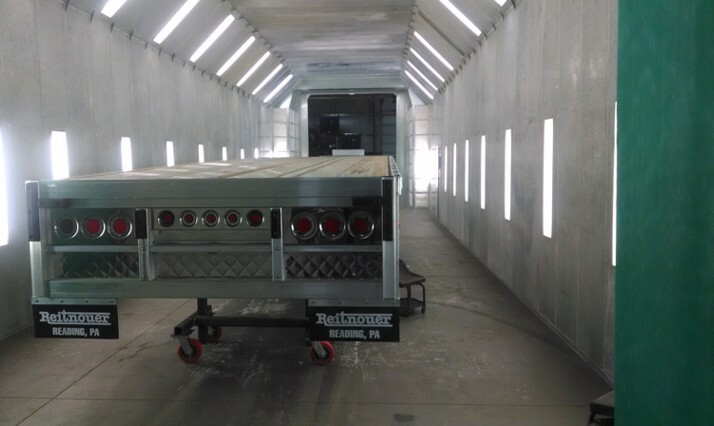 Reitnouer, Inc., a manufacturer of aluminum flatbed and rail-deck trailers, hired QEI Construction as the General Contractor for their newly purchased warehouse facility in Cumru Township, PA. 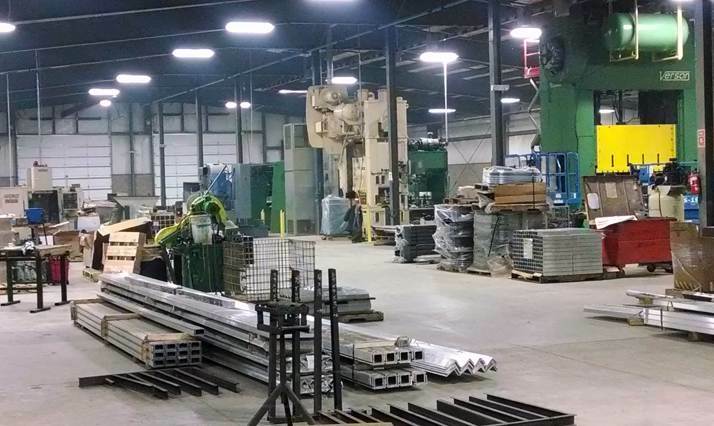 Totaling 172,500 square feet, the project consisted of renovations to the existing 141,500 square foot facility, as well as a 31,500 square foot addition. 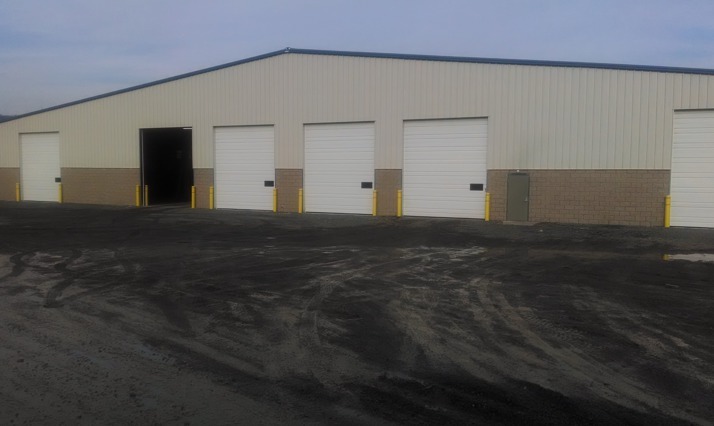 The addition is a preengineered metal building with six overhead doors, concrete and block foundations, and split-face block exterior walls that match the existing warehouse. Two wash bays with greywater recycling and two large paint booths are included in the addition. 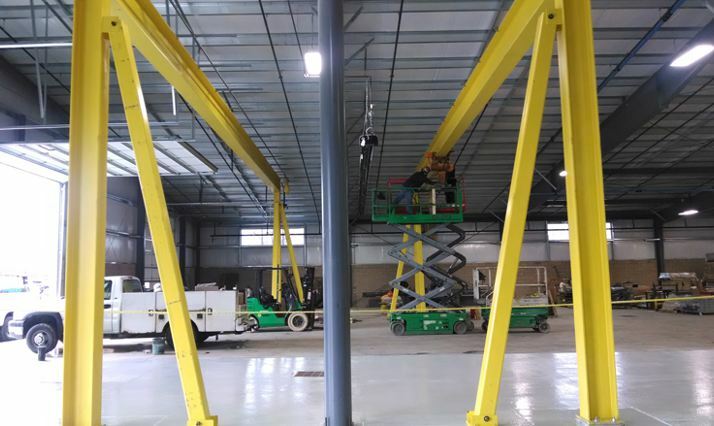 Renovations to the existing facility include new toilet rooms, adding midpoint columns to accommodate the assortment of five to seven-ton crane bays, and adding new direct fired gas units to the existing heating system. Supplemental foundations were required to support the overhead cranes and World War II cast iron presses, which weigh several tons each. Extending the existing sprinkler system, power, and lighting into the addition was also part of the project. The project was completed within the 14-week time frame.